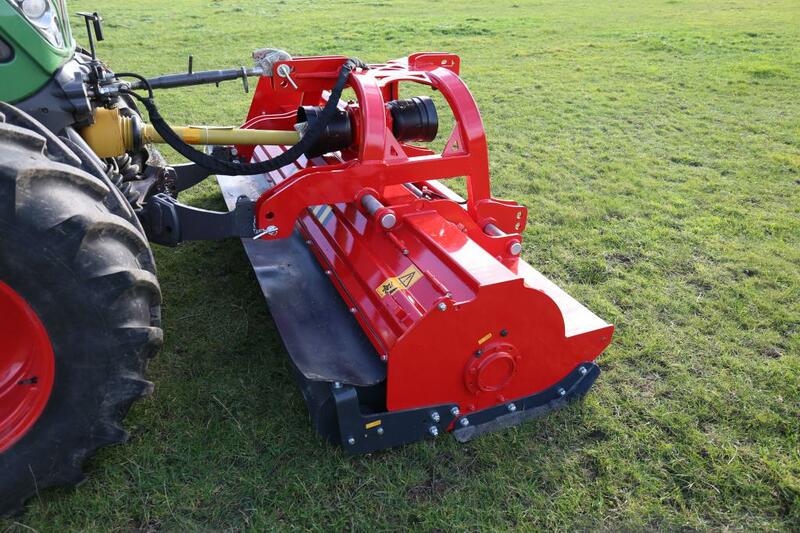 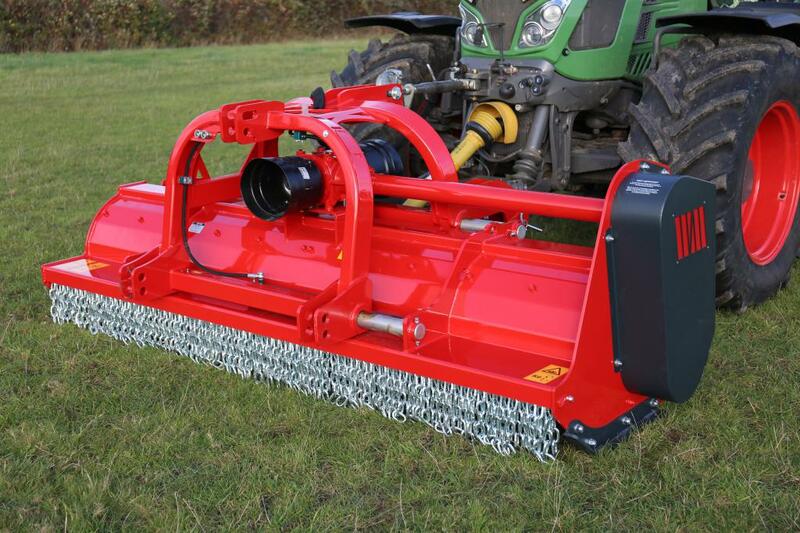 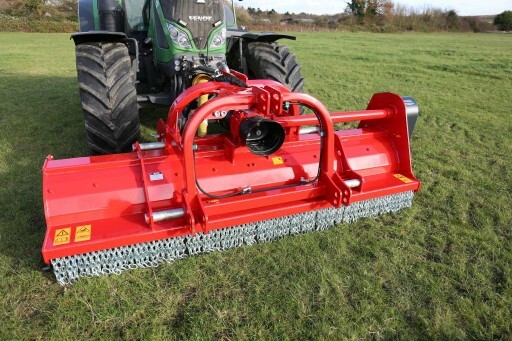 Heavy duty front or rear mounted flail for large farms and contractors, cuts material up to 8cm in diameter. 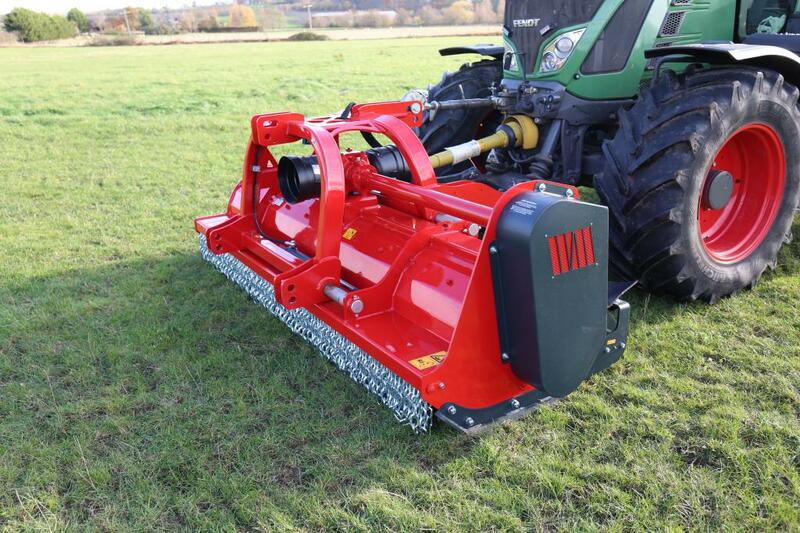 1,000 RPM gearbox with clockwise and anti-clockwise PTO to allow for front or reverse Cat III mounting on tractors up to 250HP. Hard wearing Domex steel hood, reinforced rotor, 220mm diameter heavy duty rear roller, hydraulic side shift, front chain protection, rear rubber debris protection, opening rear inspection door, 6 belt drive with auto 3rd belt tensioner. ‘U’ shaped counter sharpened hammers. 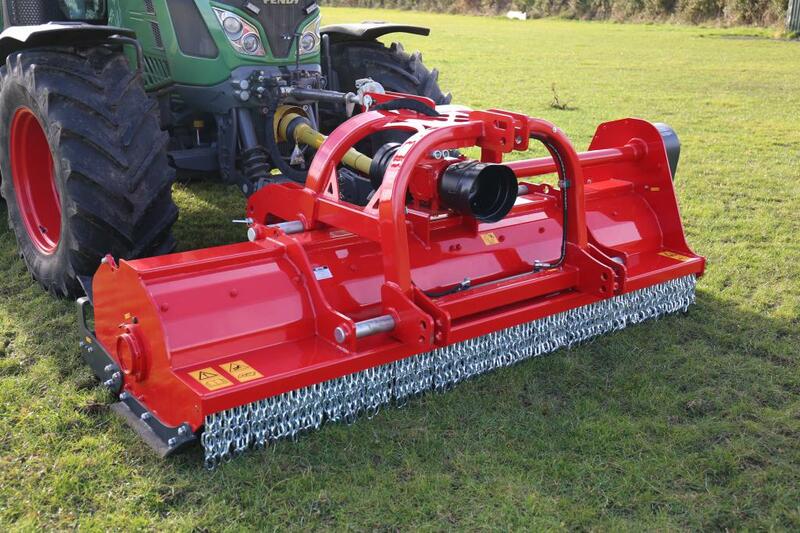 2 Years warranty as standard.